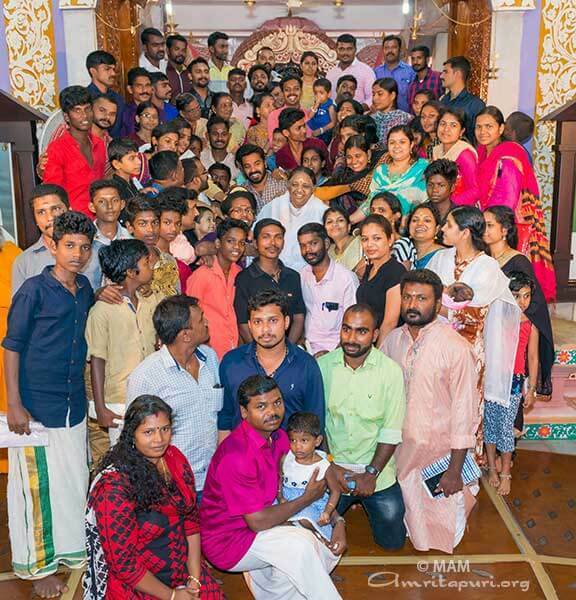 Children of Parippally: Who says they are orphans? 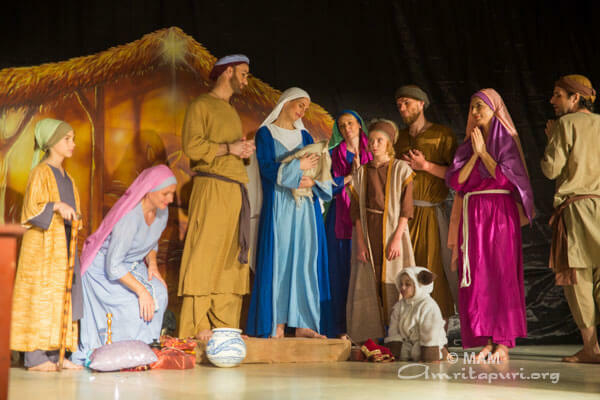 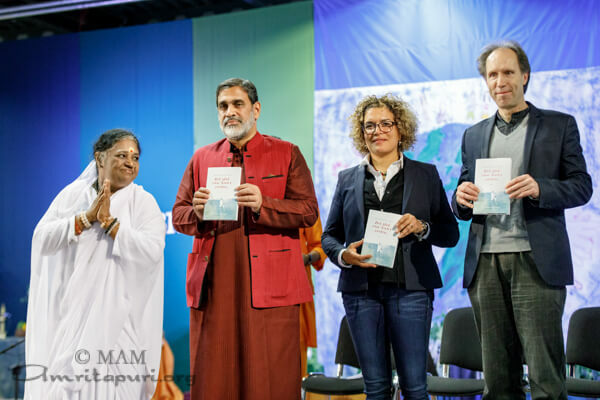 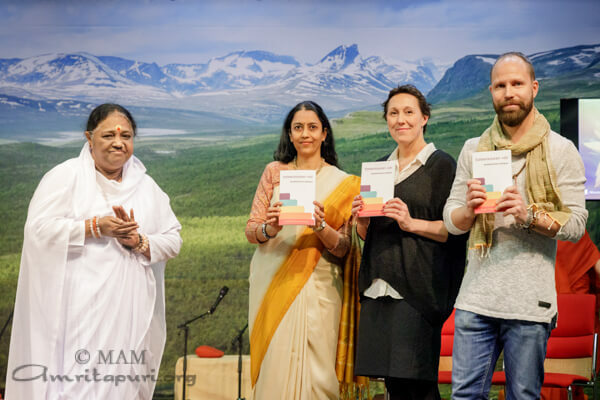 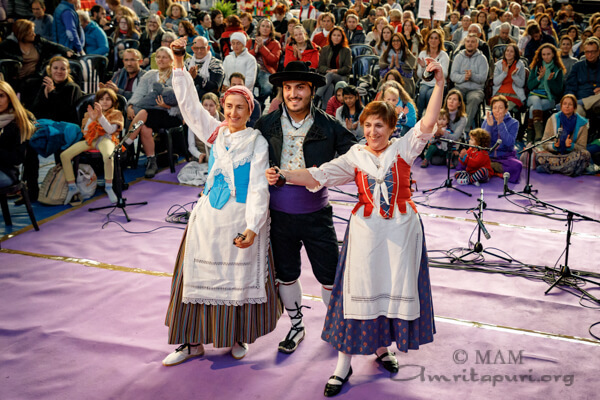 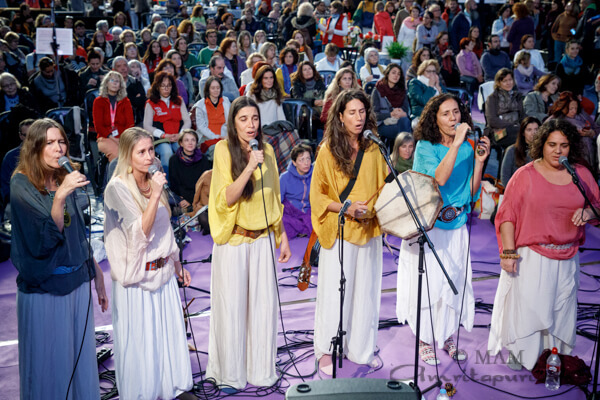 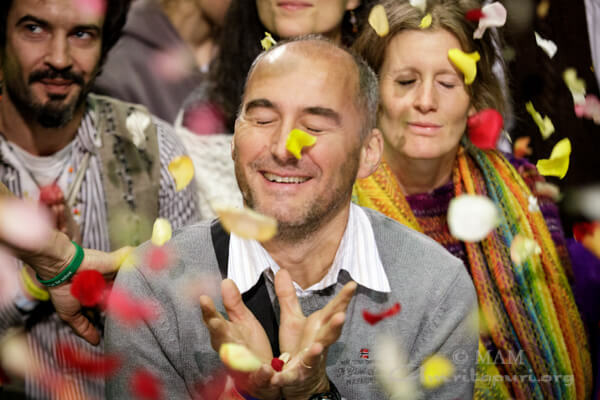 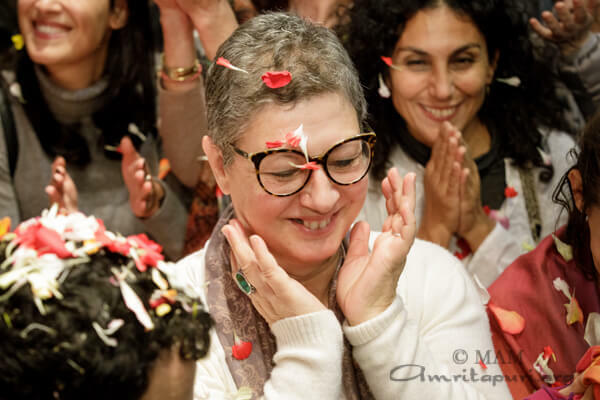 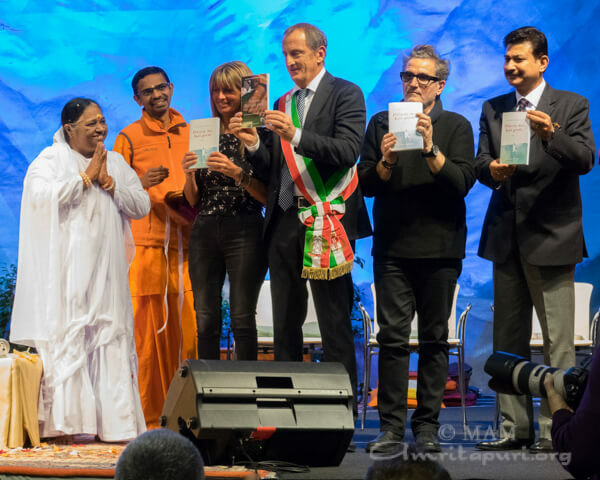 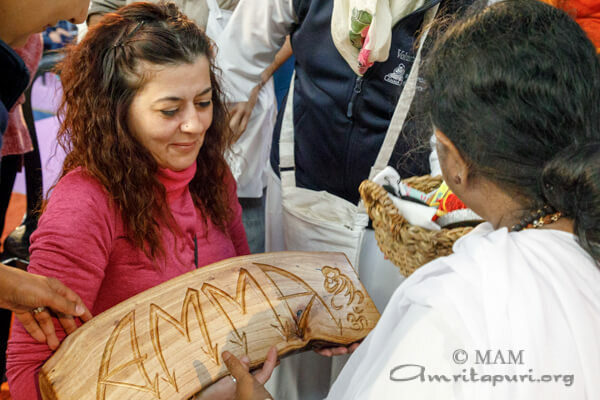 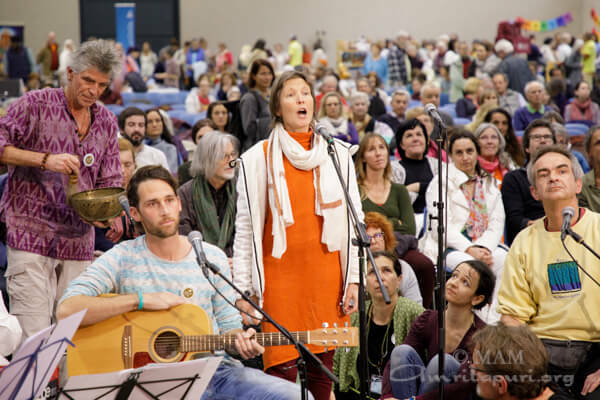 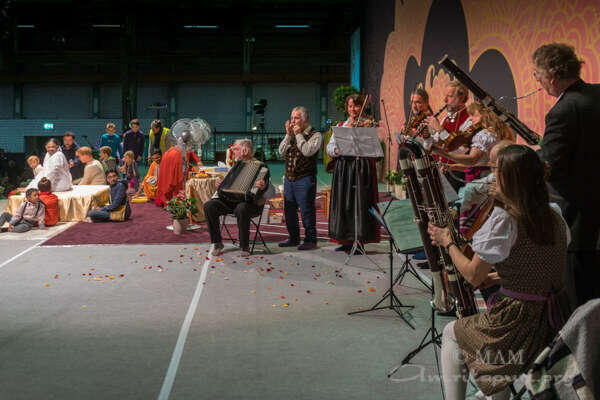 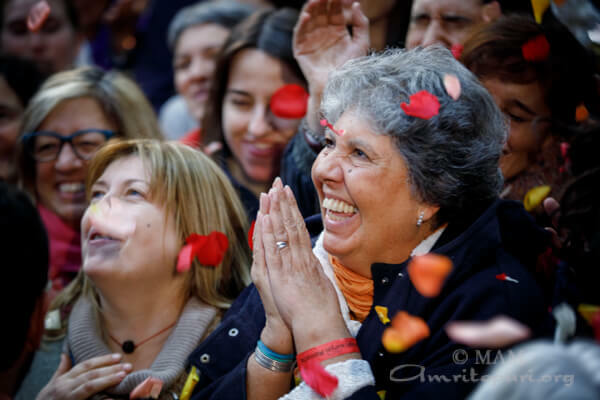 Late last year, just one day after Amma had returned from her annual European tour, a group of very special visitors came to Amritapuri to see Amma. 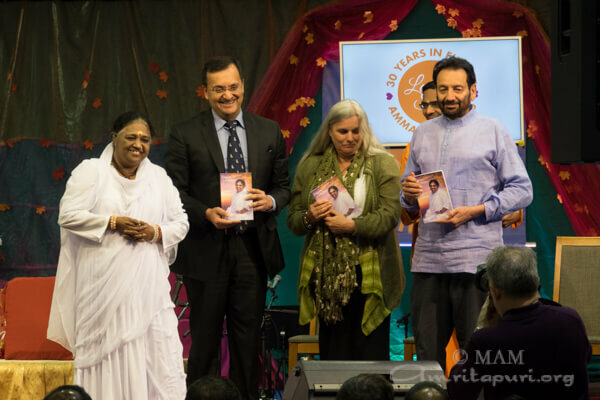 They were all alumni of the *Amrita Niketan orphanage and Higher Secondary Sanskrit School at Paripally. 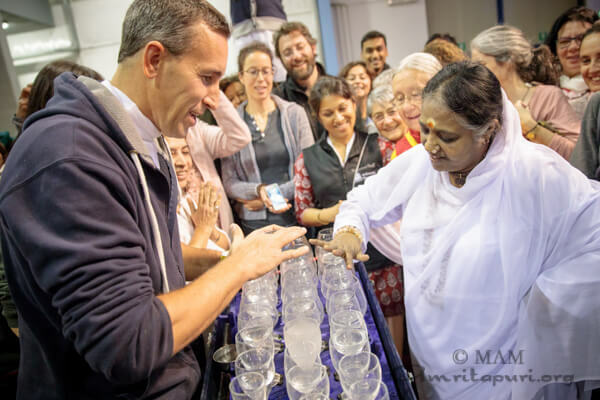 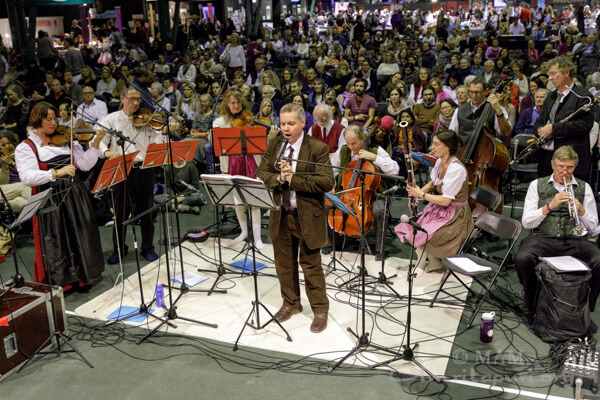 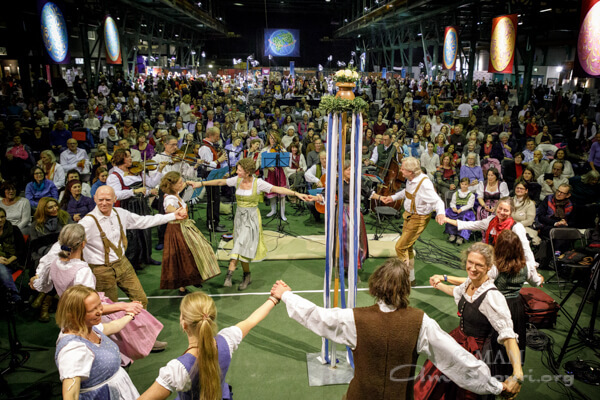 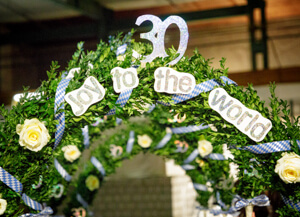 Though they may have lived in the orphanage and attended the school at different times over the last 30 years, they keep in touch with each other and support each other, having formed a network that they say is like a giant extended family. 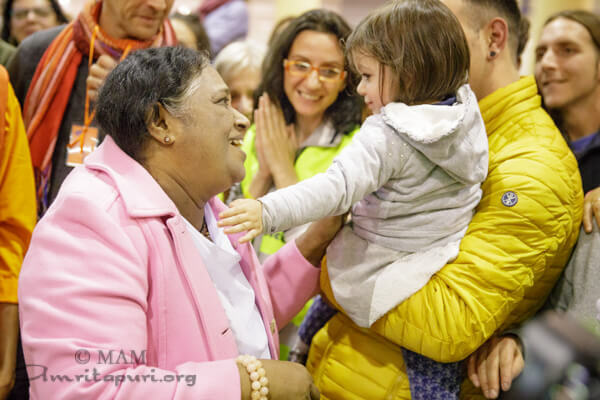 On this day, they had come to share with Amma where they were at in their lives, what they had learned from Amma and from the brahmacharis and brahmacharinis who cared for them at the orphanage, and above all to thank Amma and the ashram residents for all that they had received. 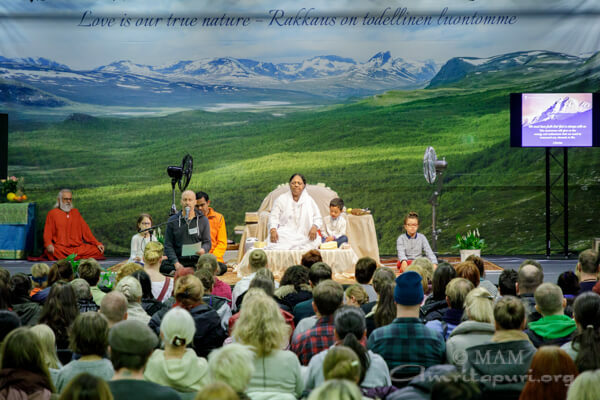 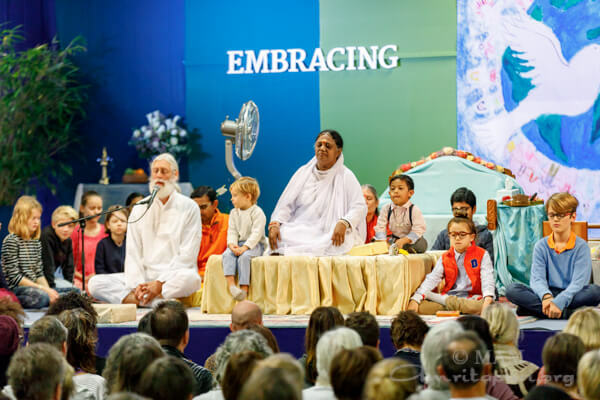 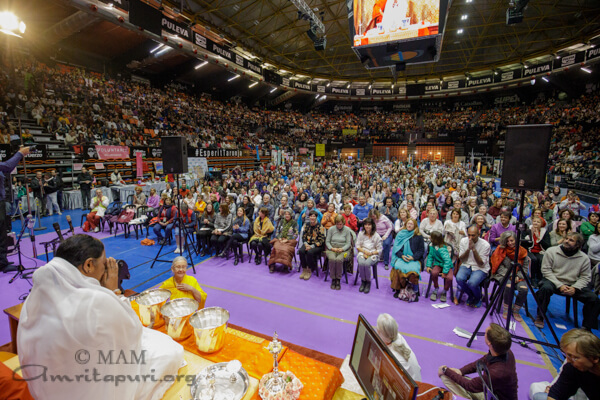 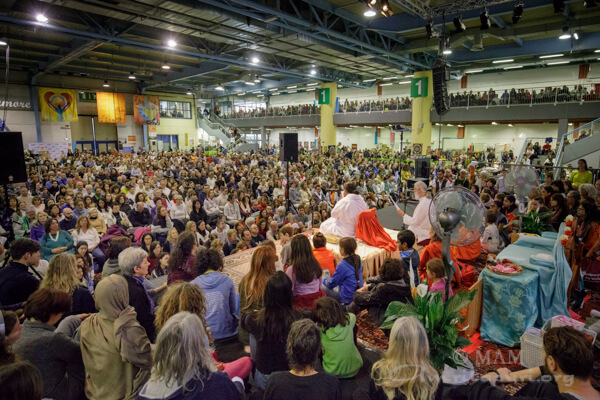 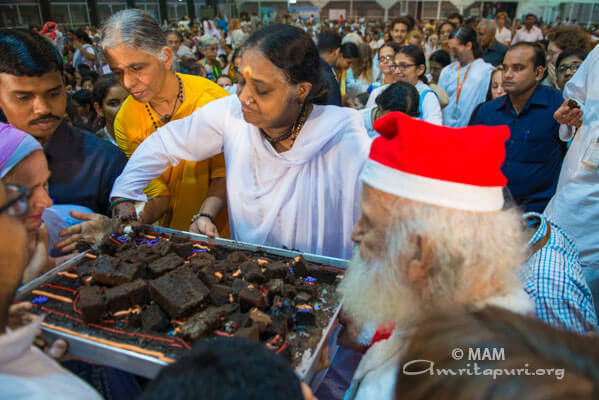 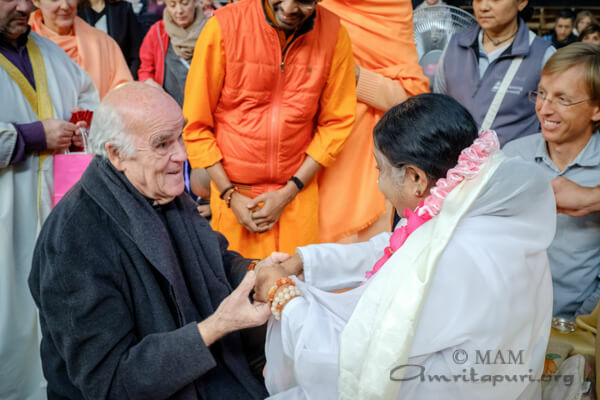 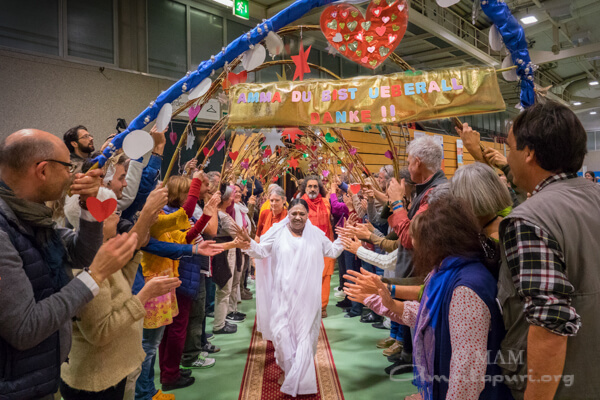 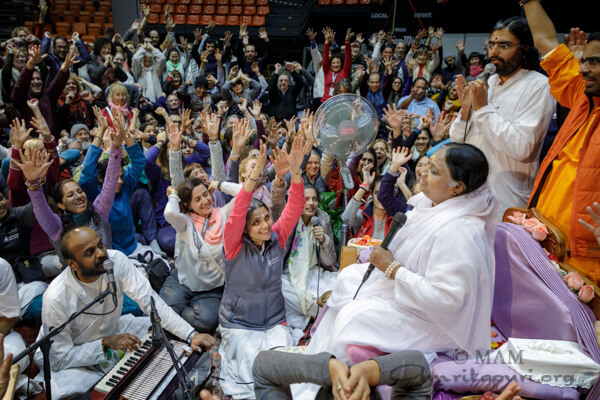 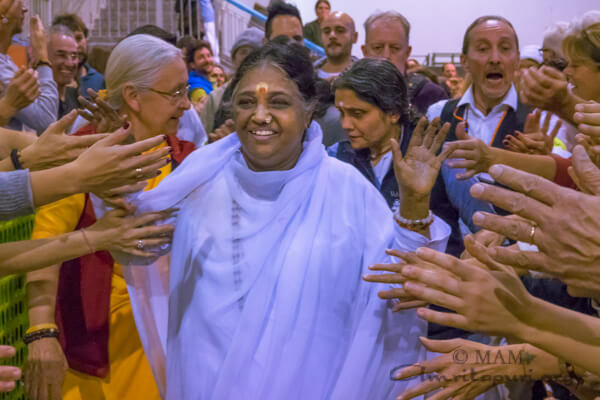 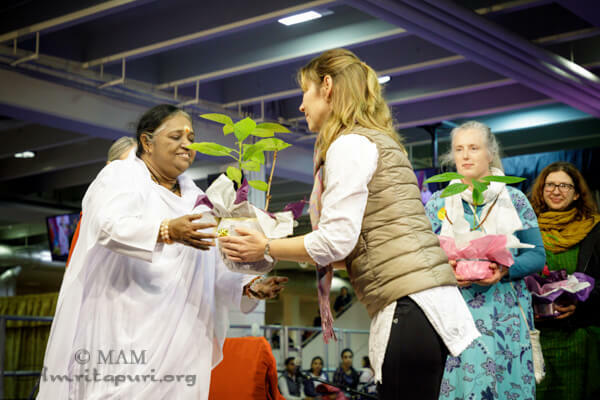 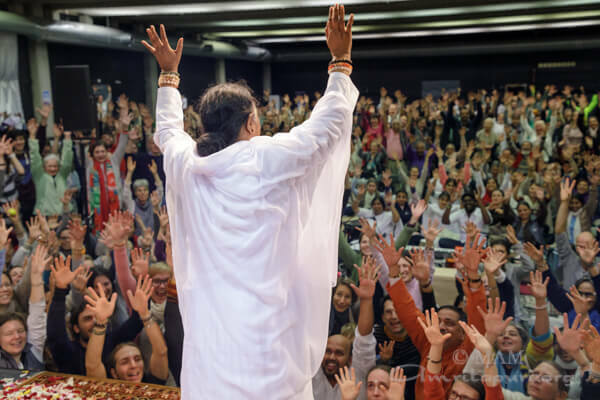 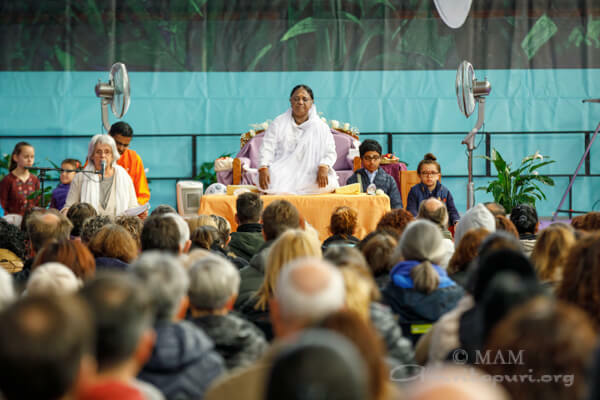 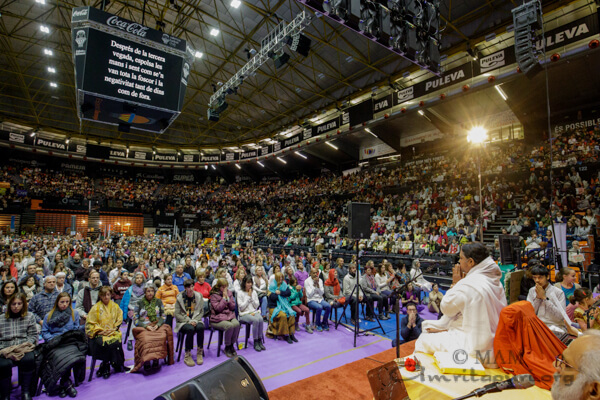 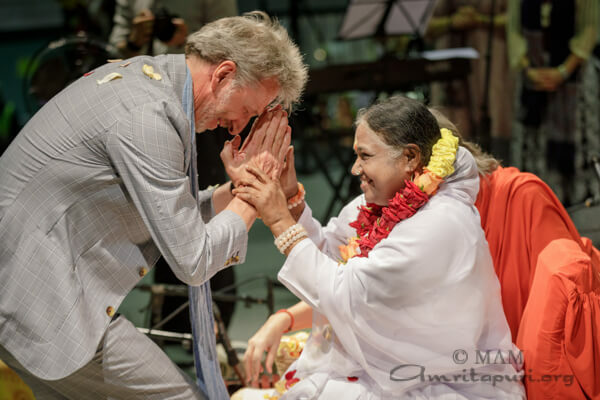 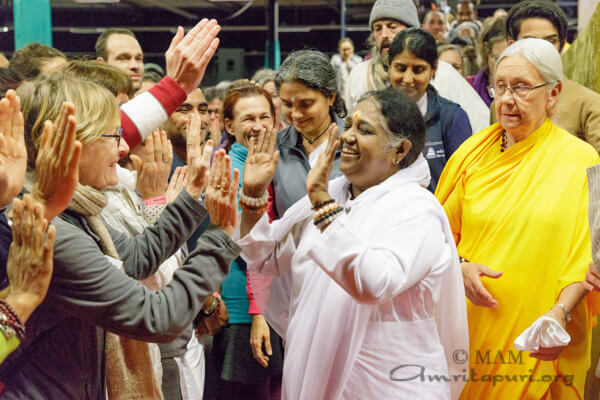 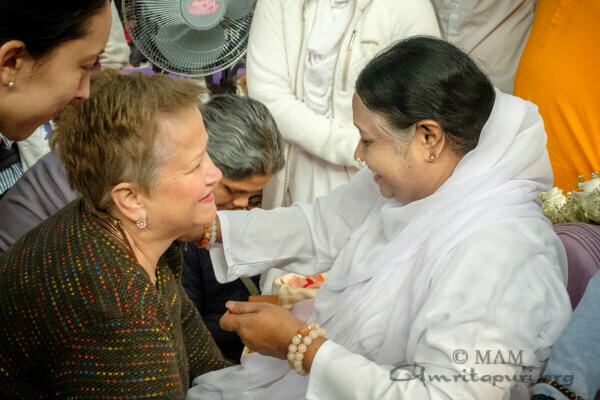 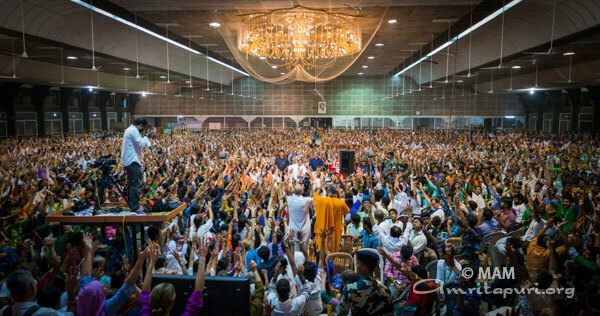 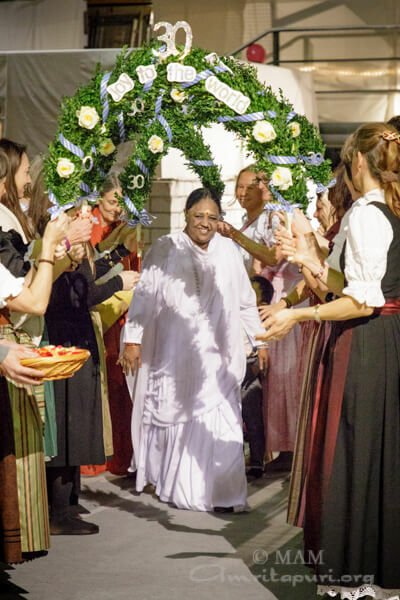 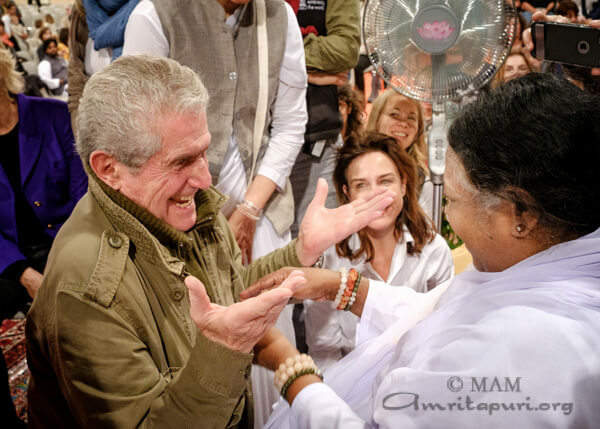 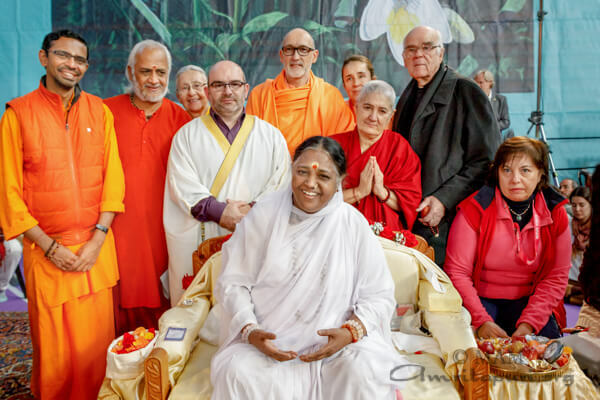 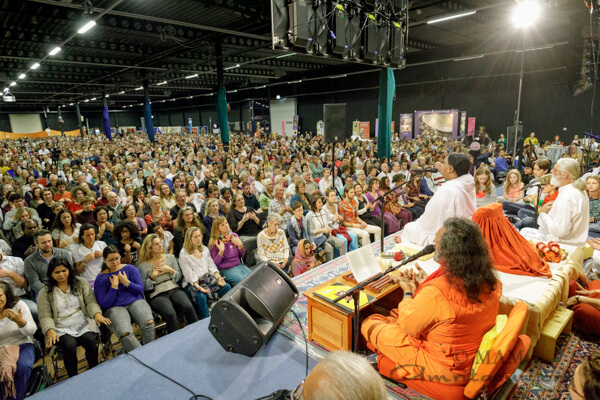 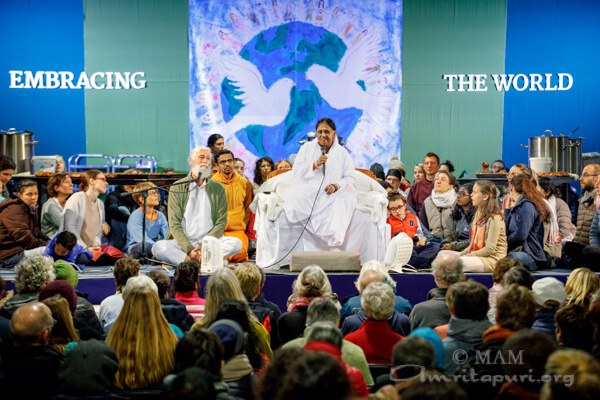 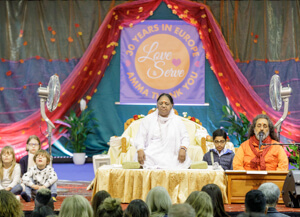 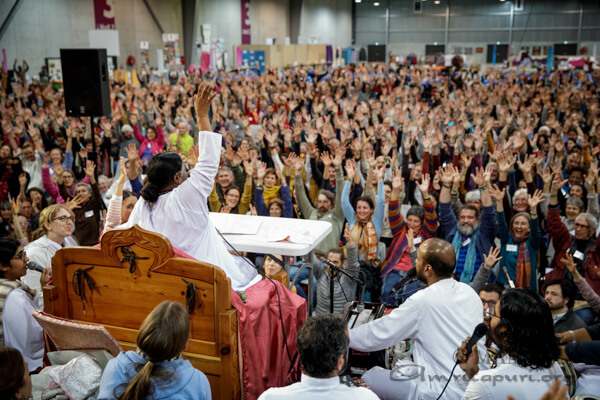 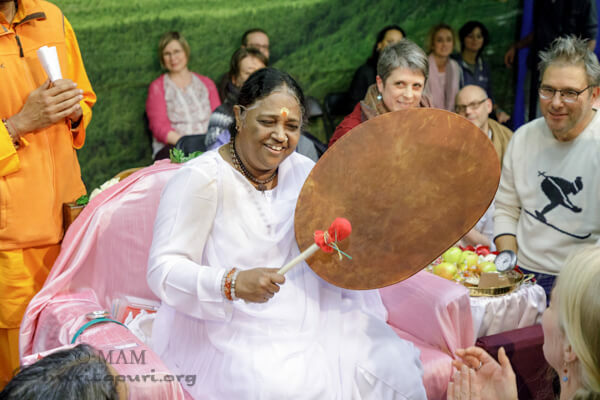 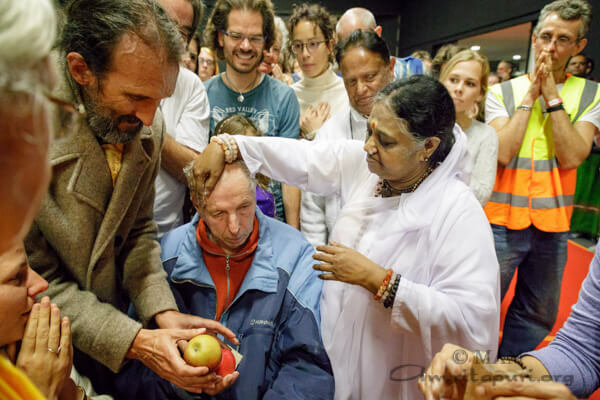 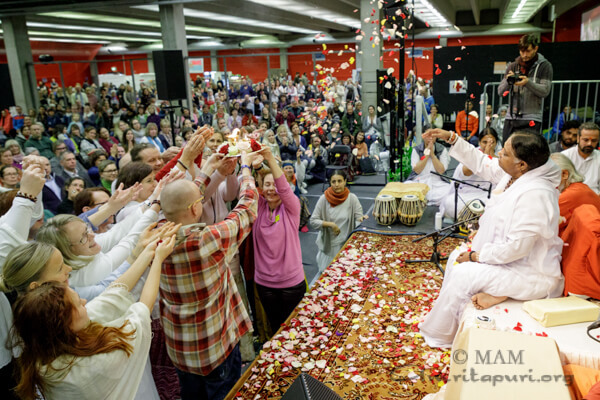 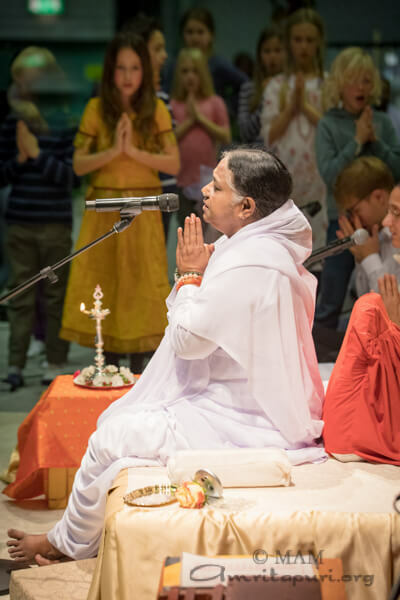 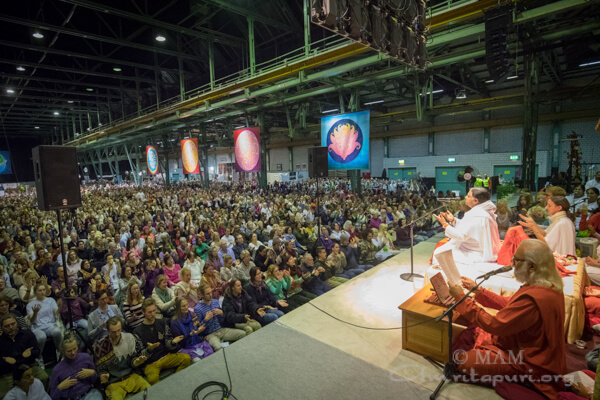 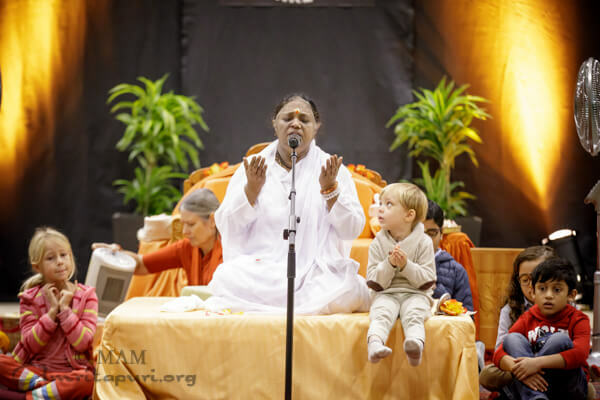 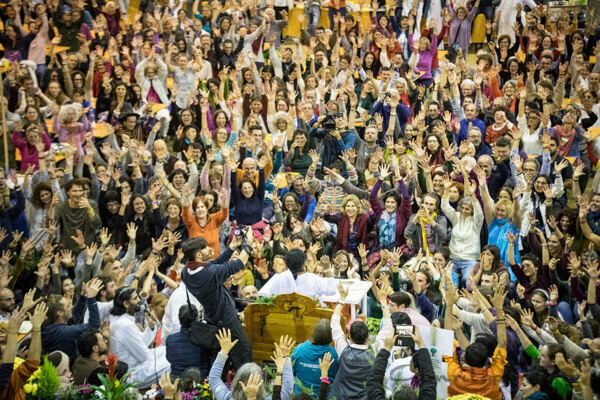 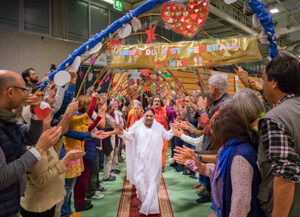 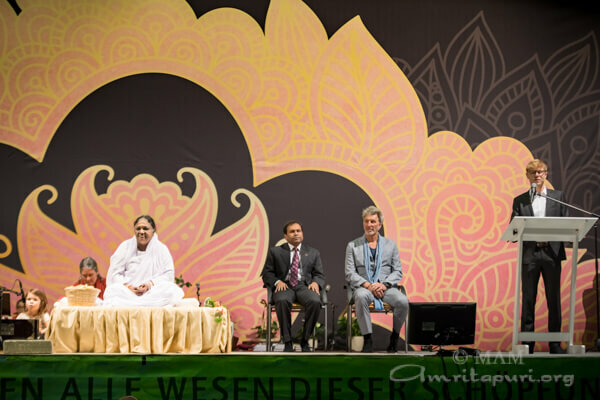 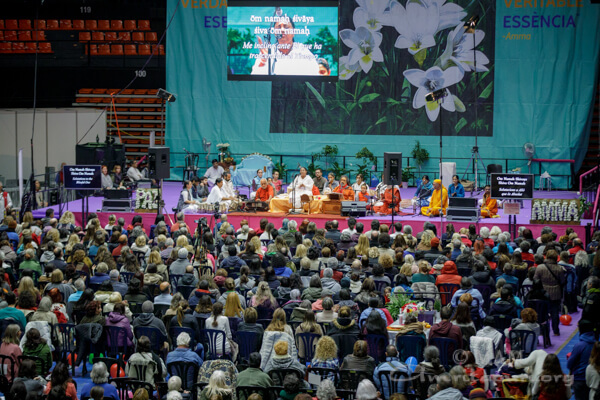 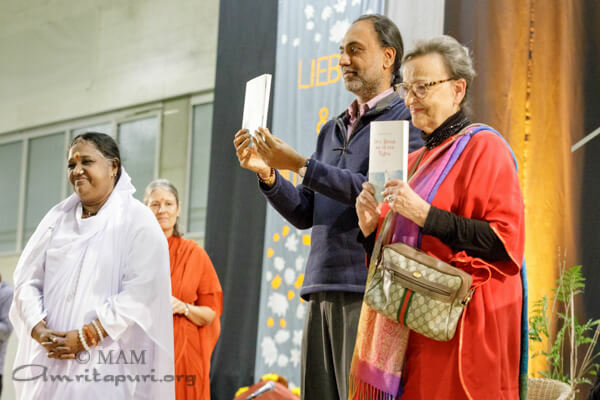 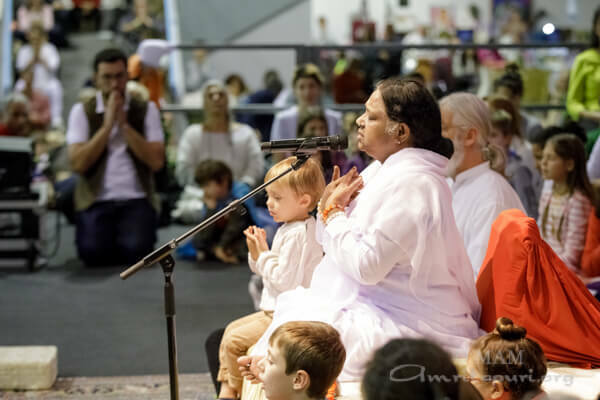 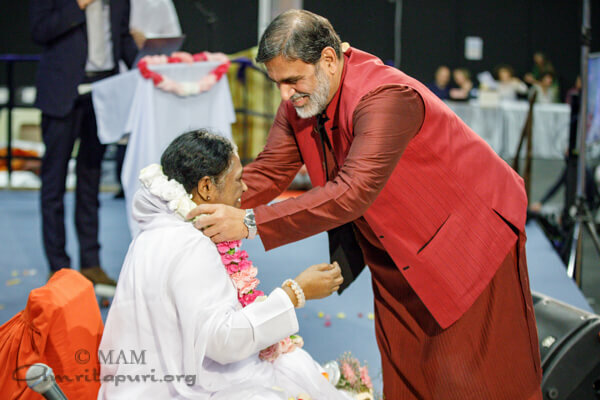 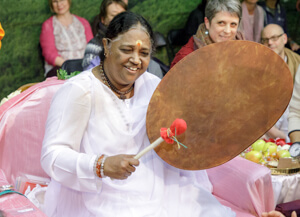 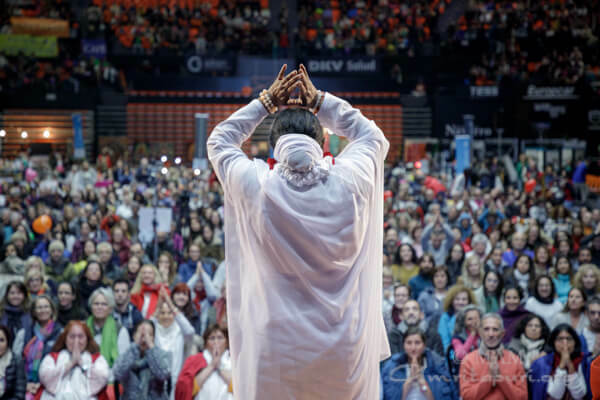 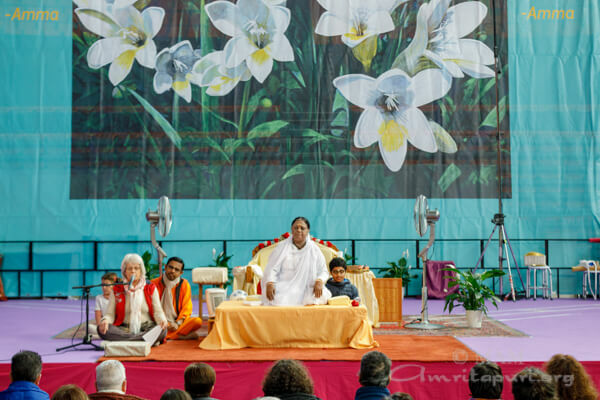 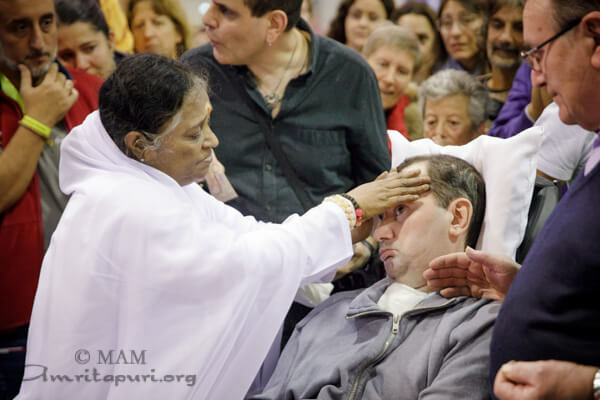 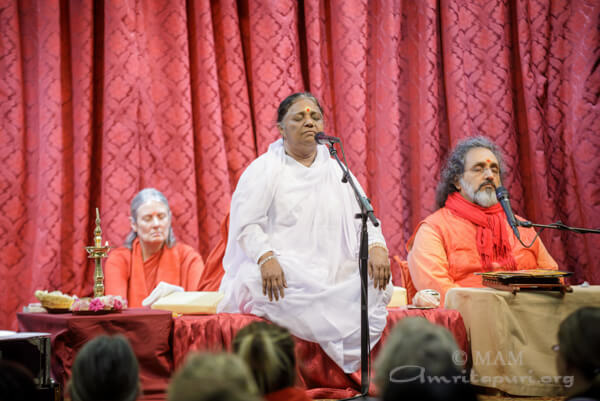 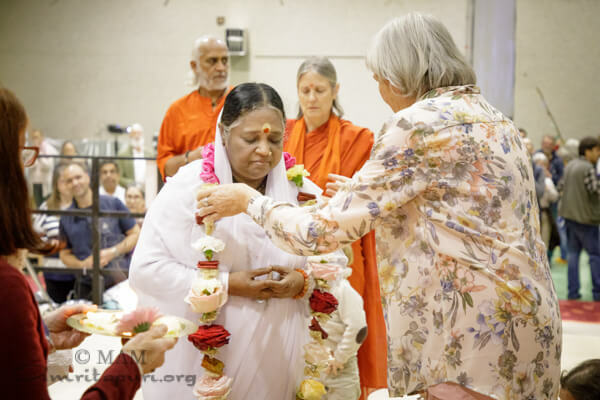 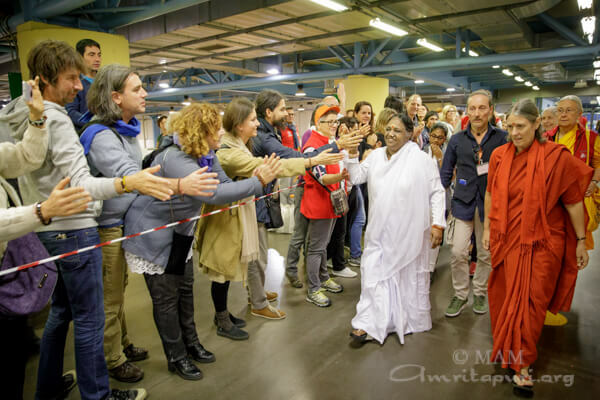 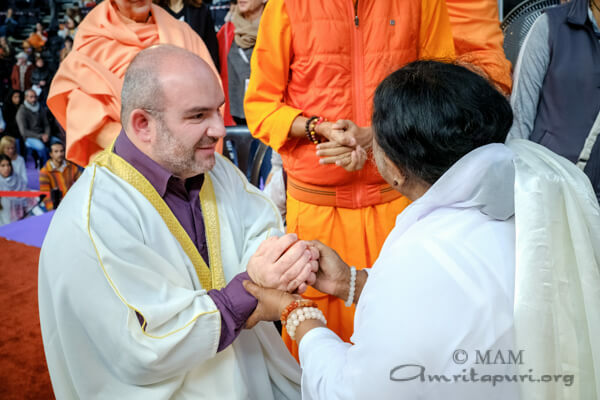 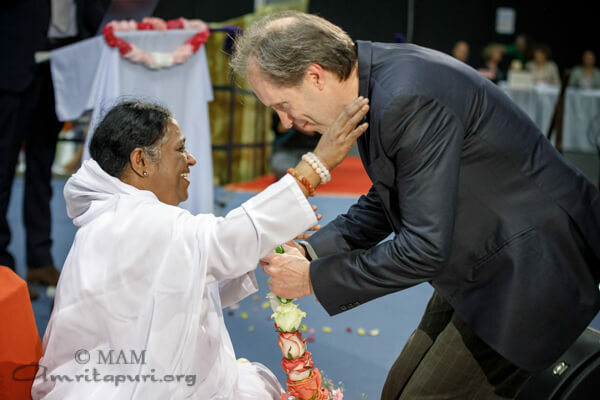 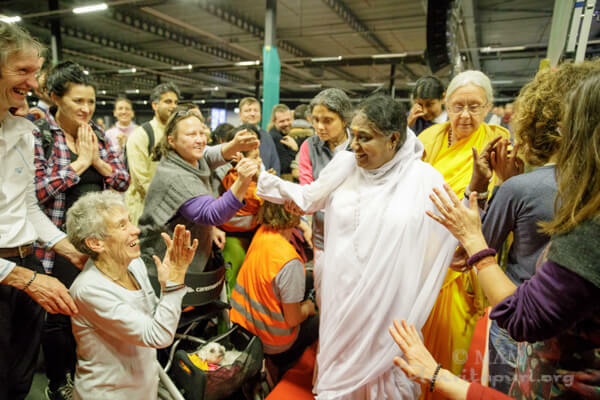 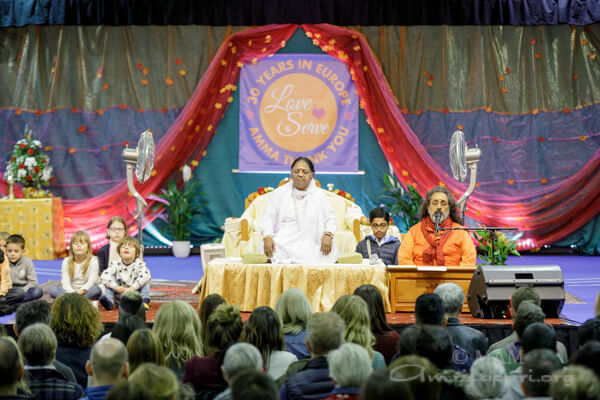 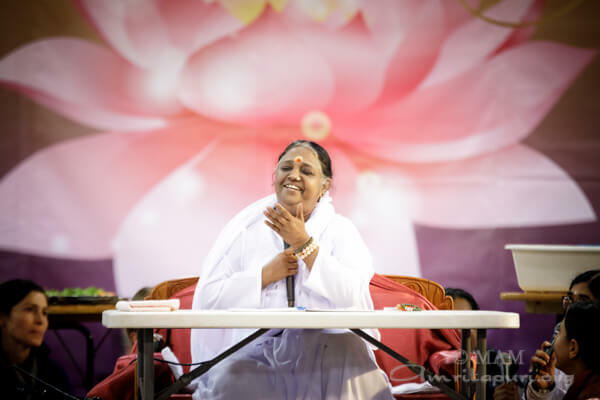 On the day they came to the ashram, Amma was giving darshan just for the ashram residents, as she had just returned from her 2017 European Tour. 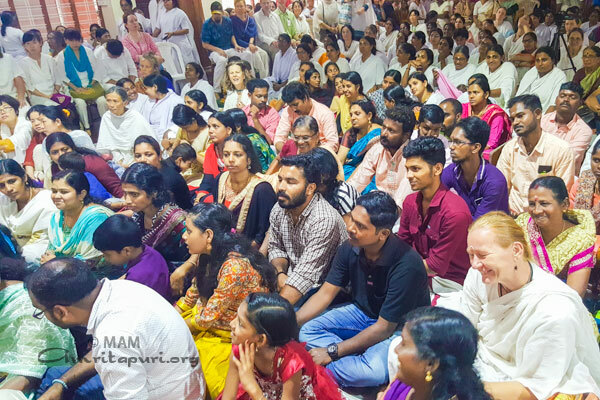 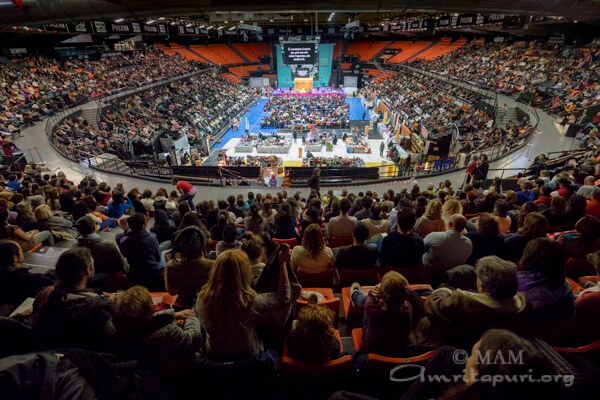 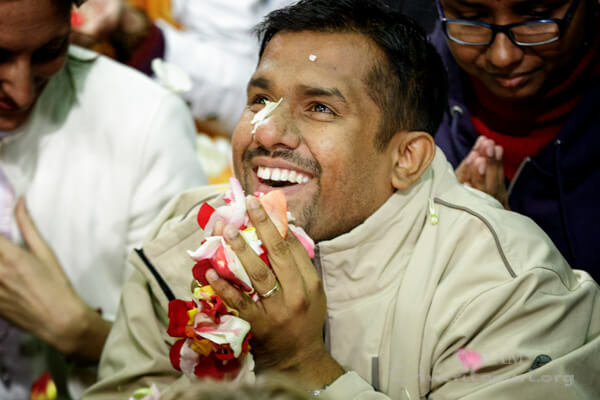 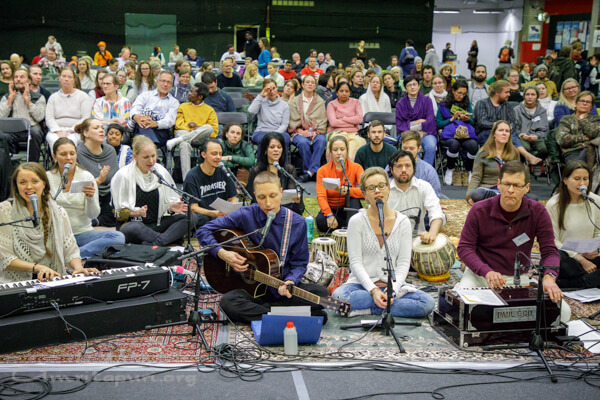 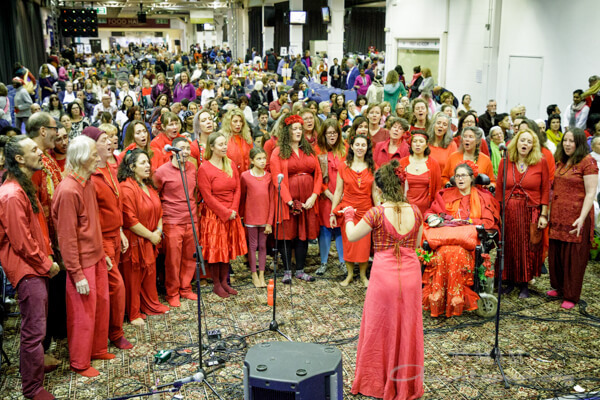 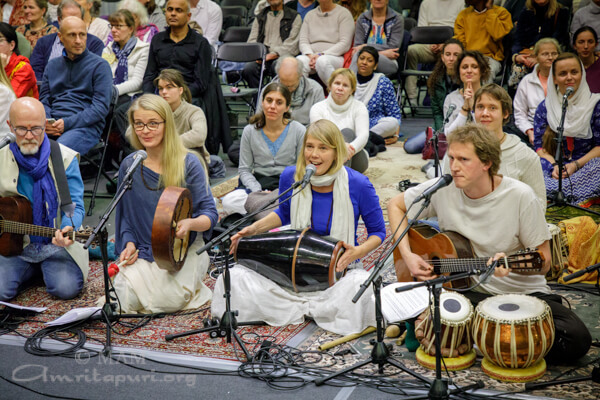 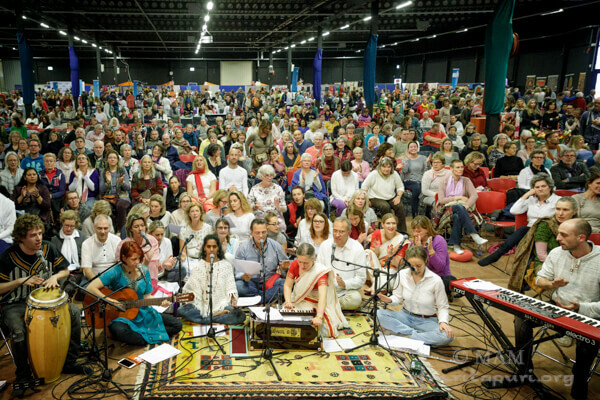 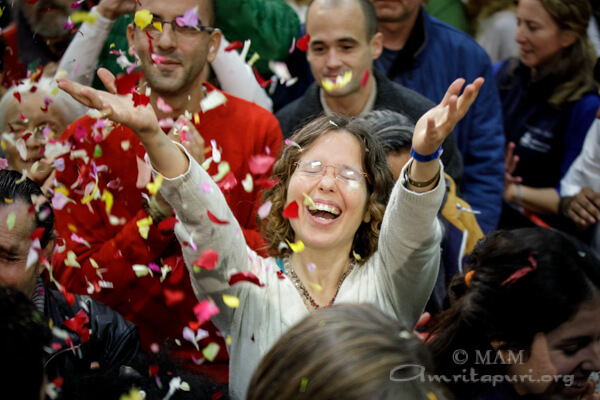 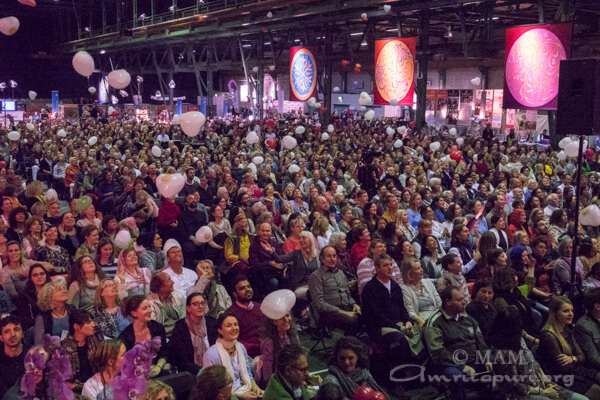 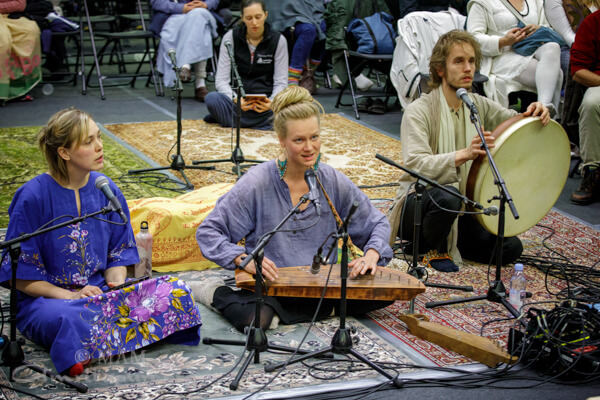 All the same, the Paripally alumni were invited inside the temple as members of the ashram family. 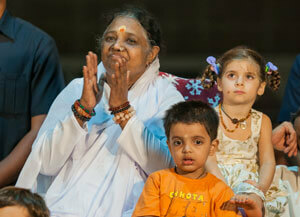 Hearing their stories, Amma found it so touching that she invited them to speak on the mic. 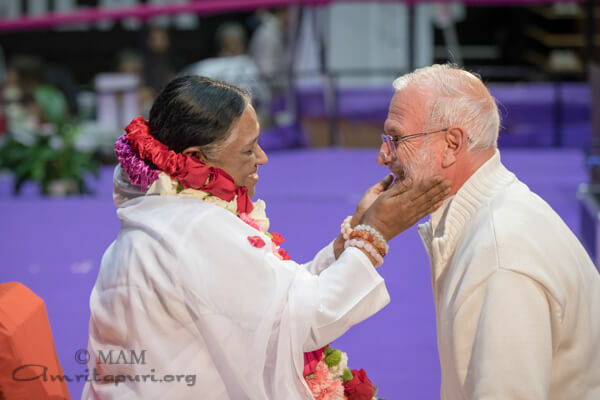 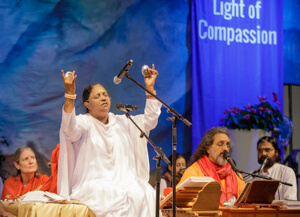 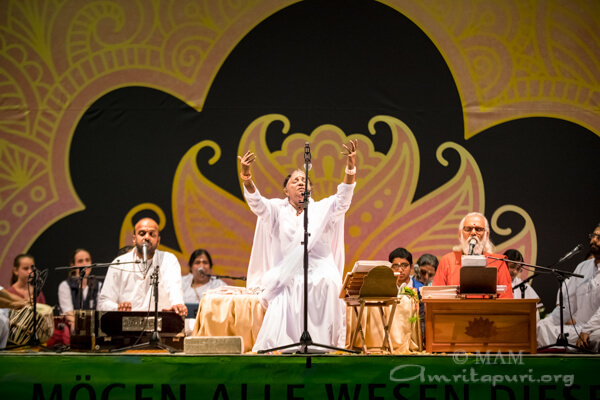 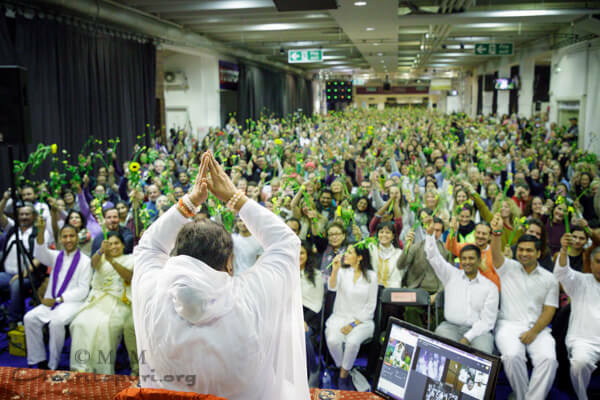 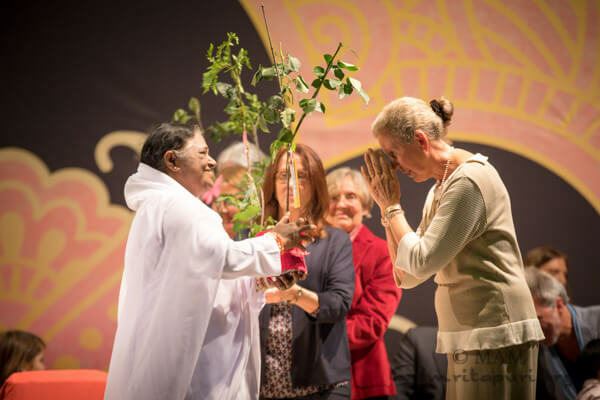 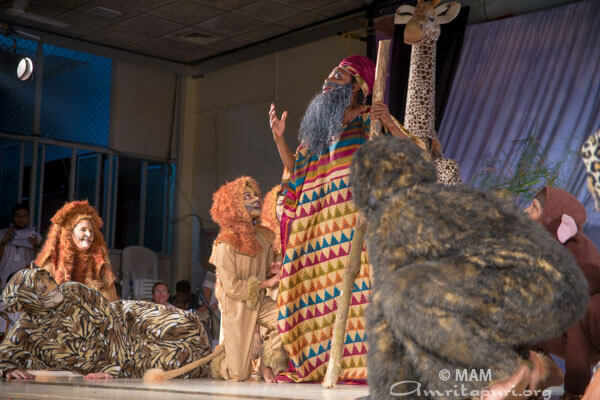 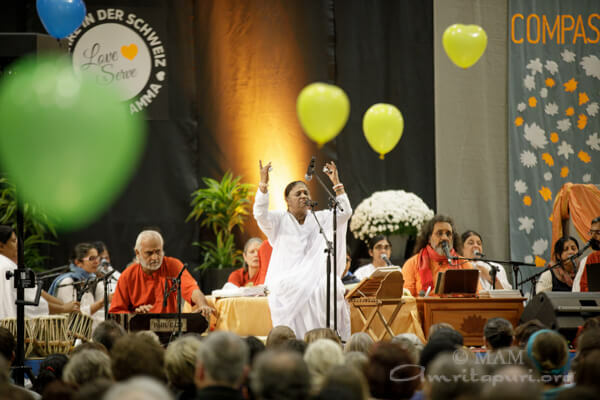 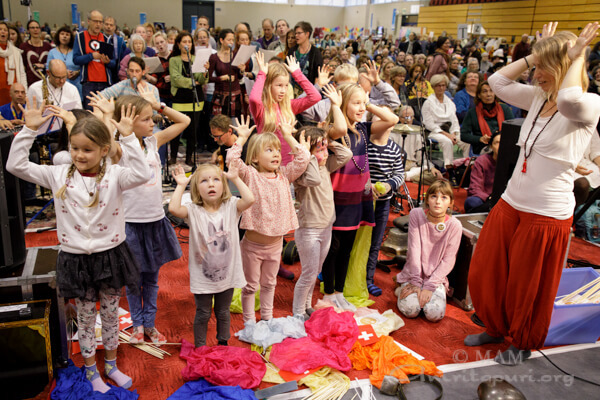 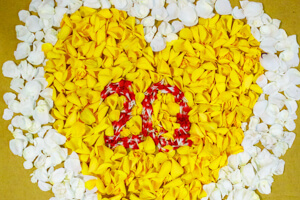 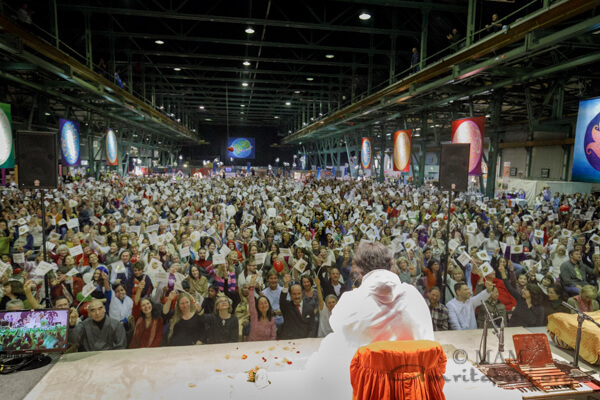 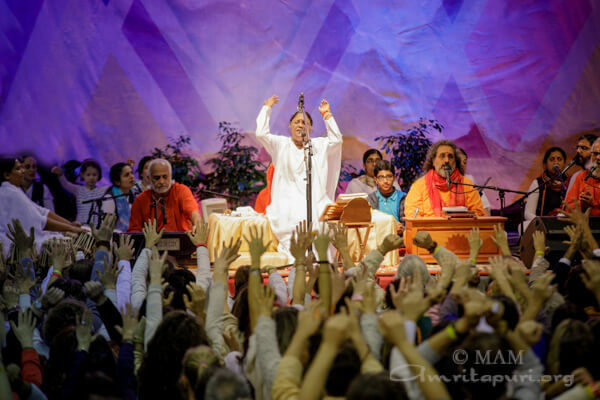 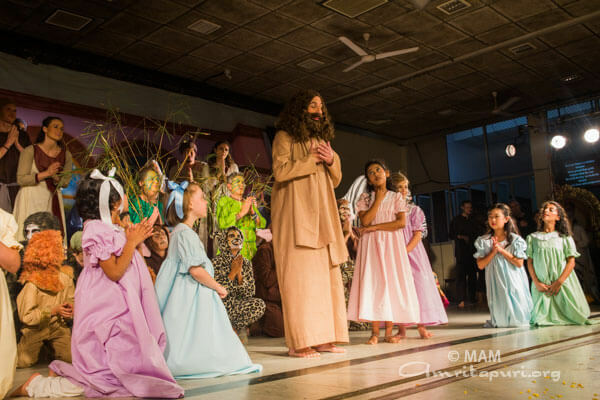 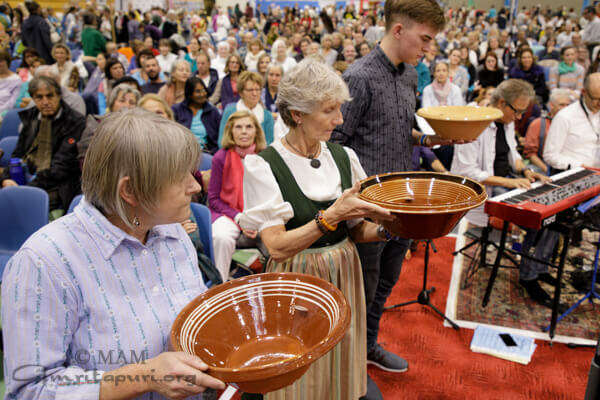 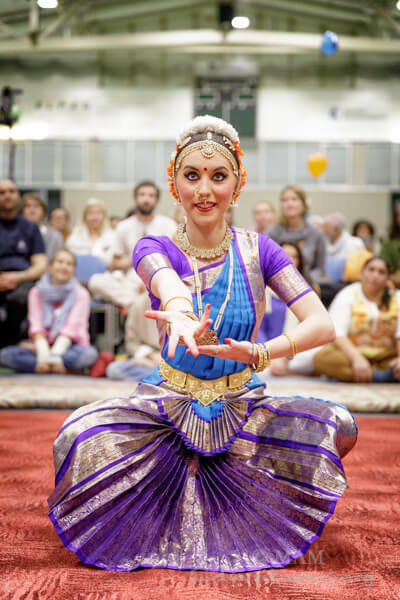 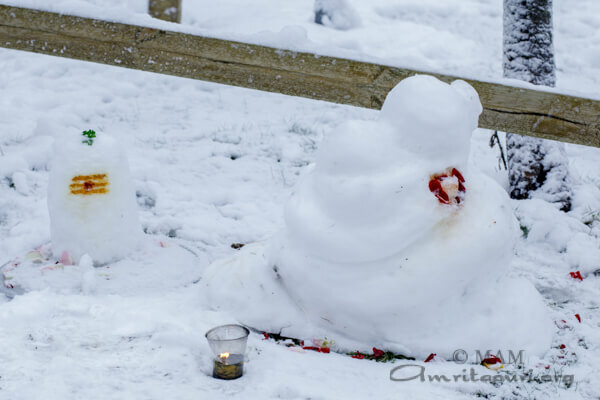 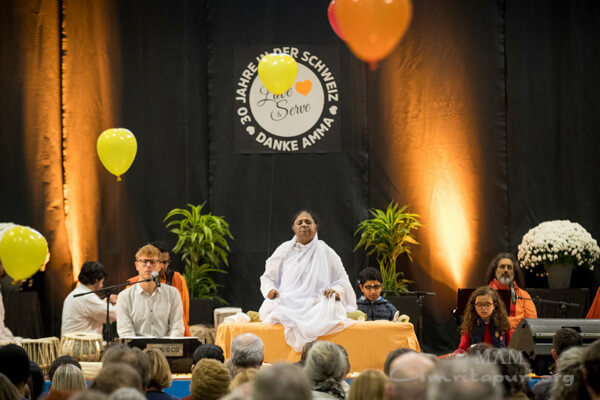 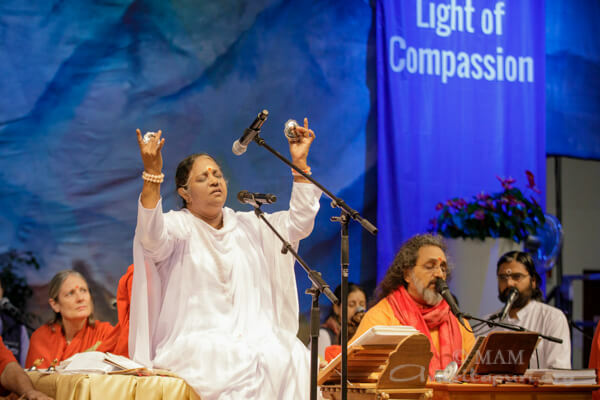 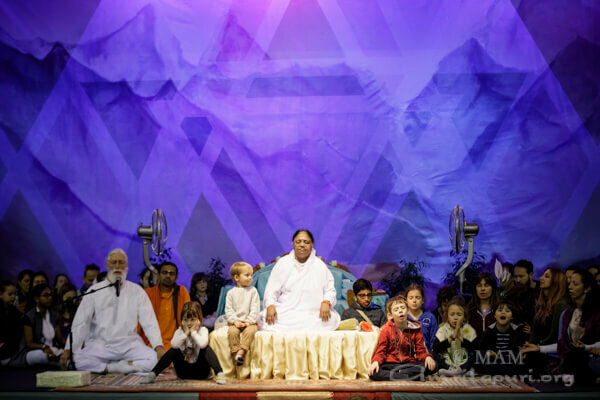 Then too, their messages of gratitude were not only to Amma but to her ashram children that had cared for them with so much love and attention, and Amma wanted the residents to hear the changes their love had wrought. 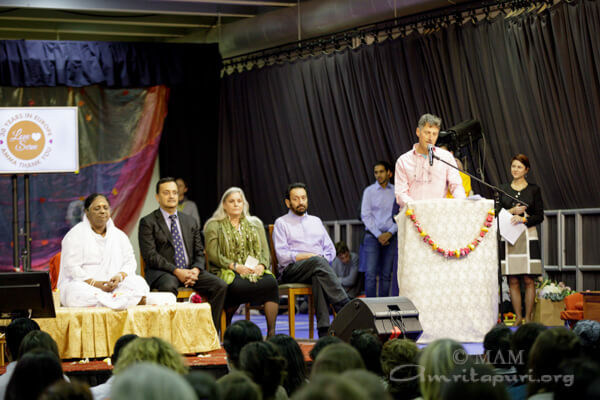 One by one, the alumni spoke. 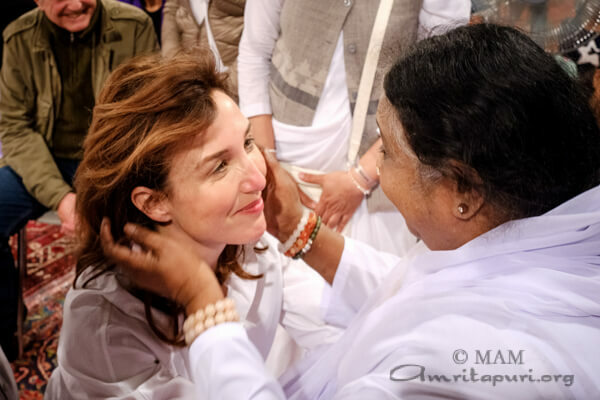 Many of them were fighting back tears, so moved were they to have this chance to express their feelings about their life with Amma and at the Paripally orphanage and school. 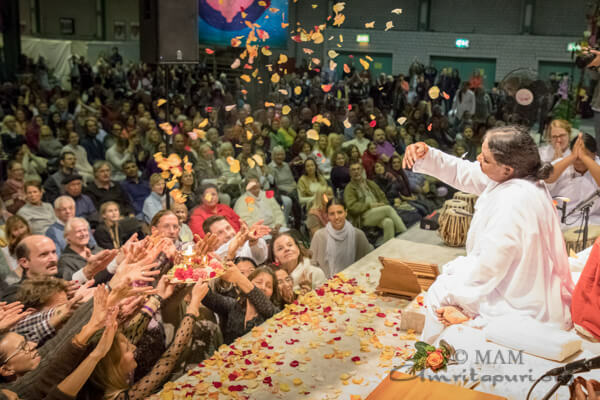 What follows is an outflow of their heart. 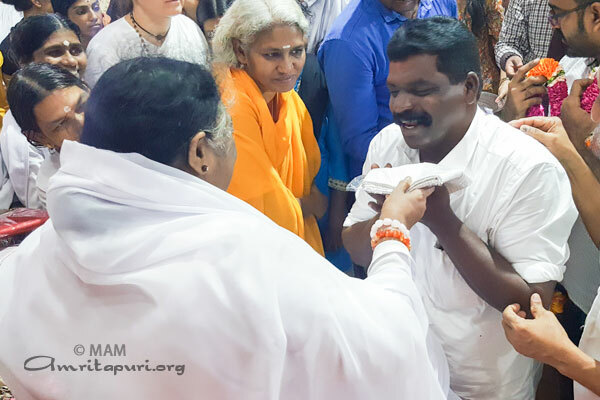 Suresh: “Most of the children came from the Attapadi (tribal area in Kerala), where they had no means even to eat a full meal. 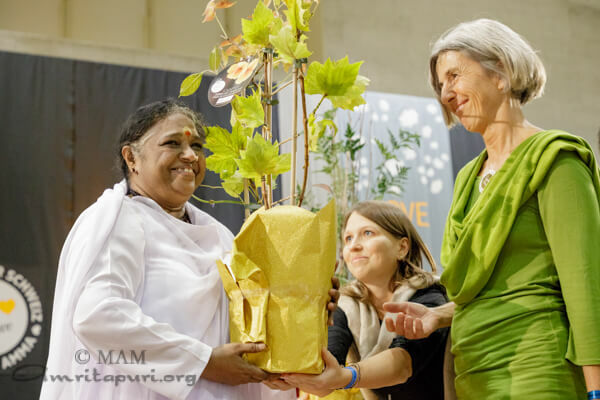 Amma brought us all here, educated us till high school and even supported us after school if we wanted to study further. 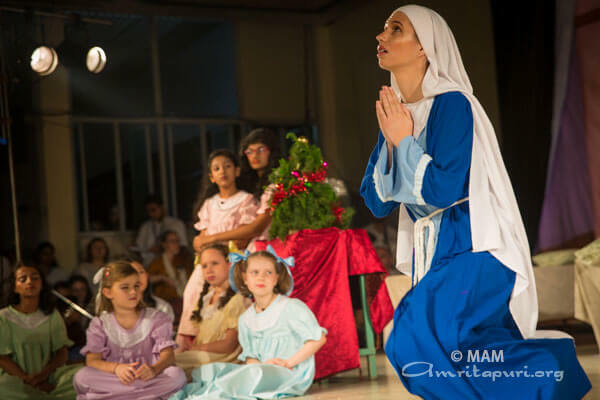 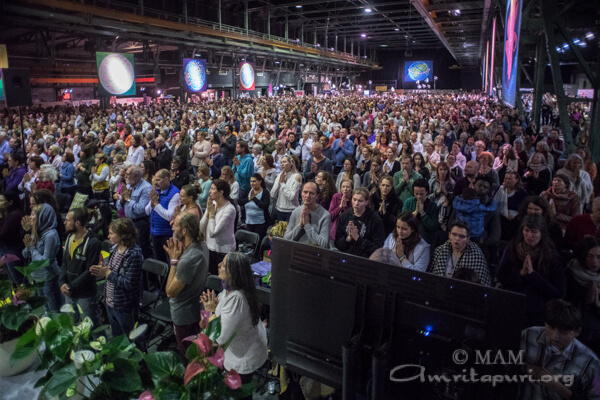 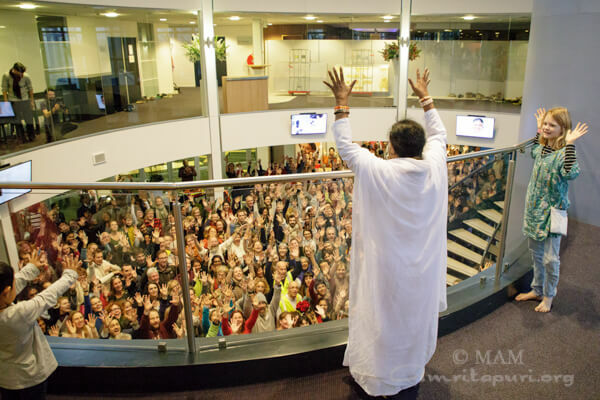 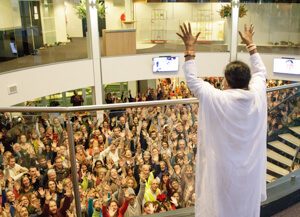 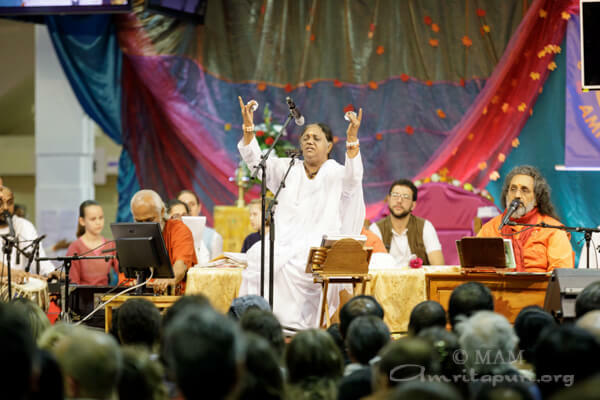 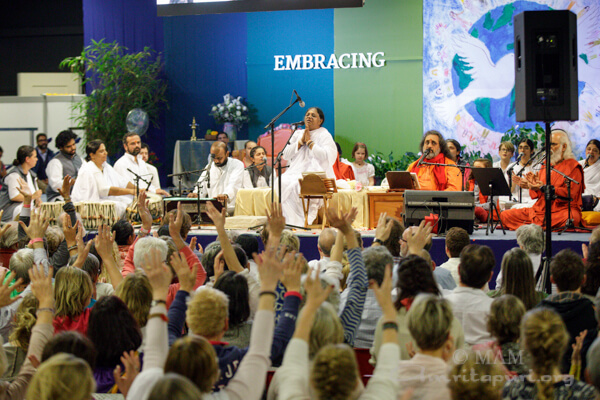 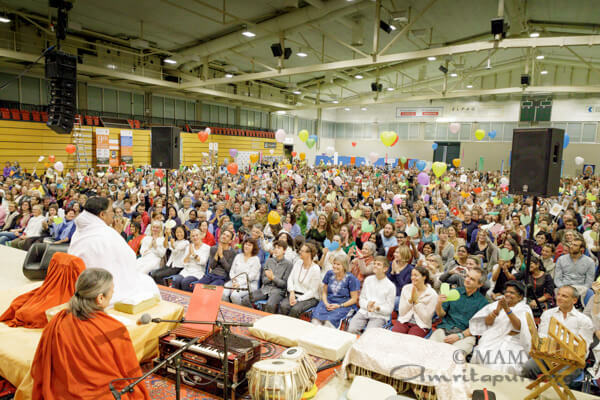 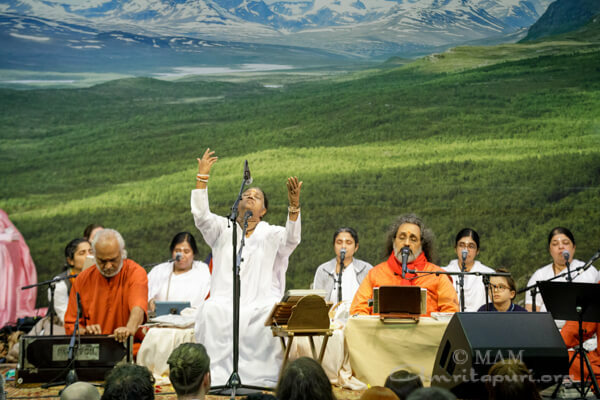 It was a great blessing that Amma undertook this school. 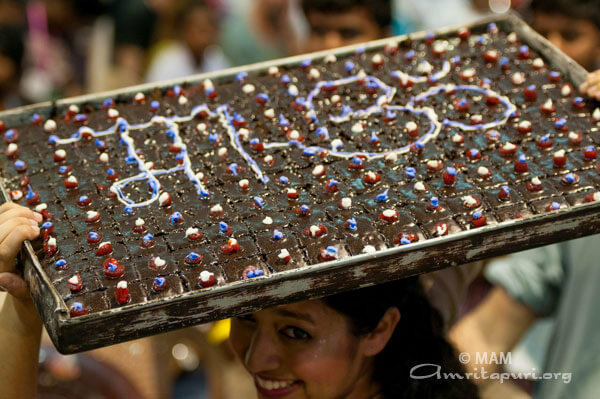 It changed our lives or rather gave us a life itself. 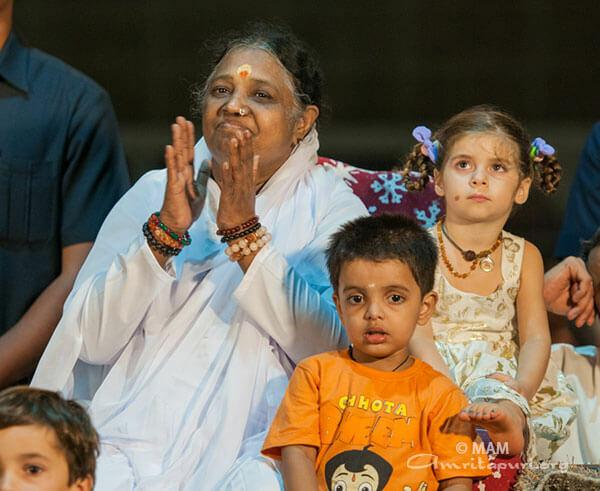 Amma’s brahmacharinis and brahmacharis have put in a lot of effort in our upbringing. 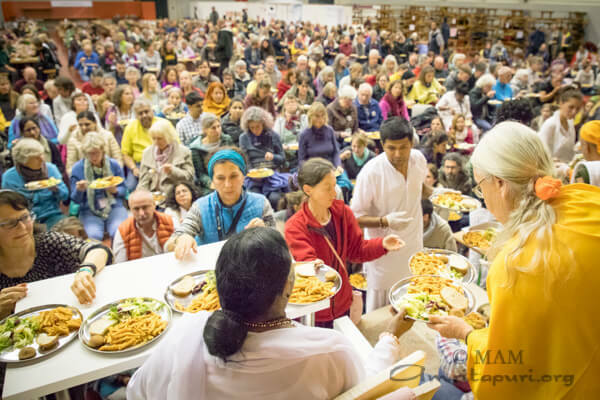 Many times, in the early days, they went to bed hungry because there was not enough food, but they always saw that we were well fed. 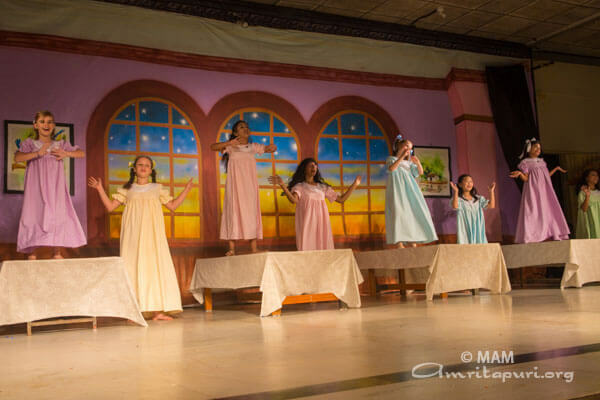 They washed our clothes and took care of our cleanliness and health. 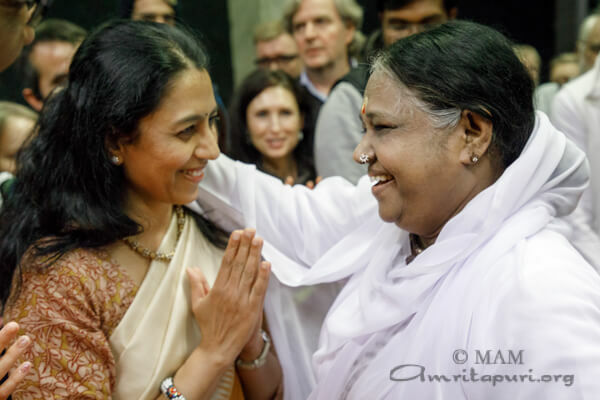 They taught us values, Dharma and disciplined us. 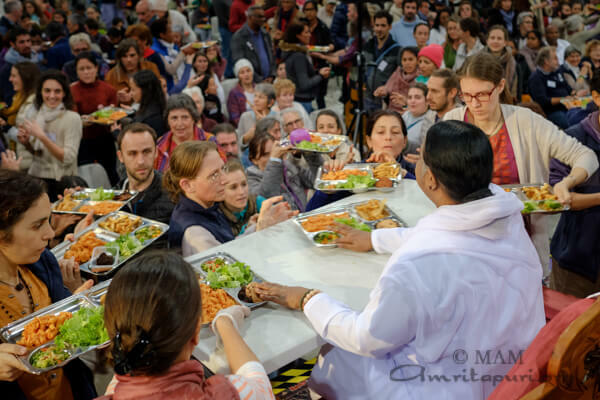 Even today, many of us try and follow the same discipline. 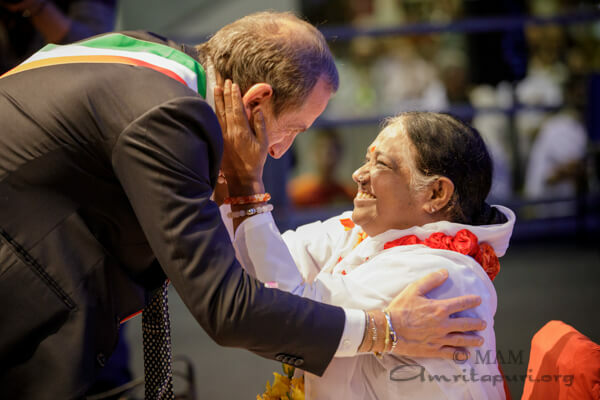 They worked day and night for us and that is the reason today we are all successful and happy in life. 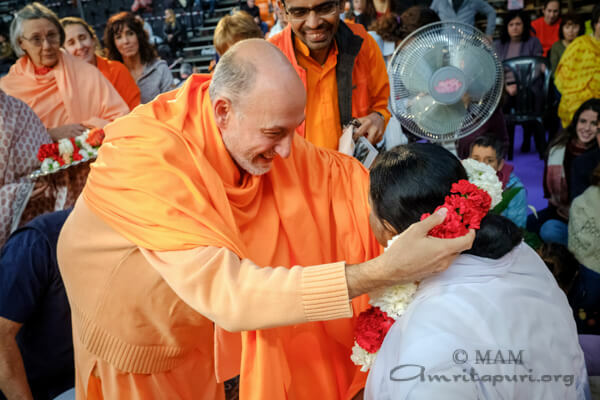 I bow down to their love, dedication and renunciation. 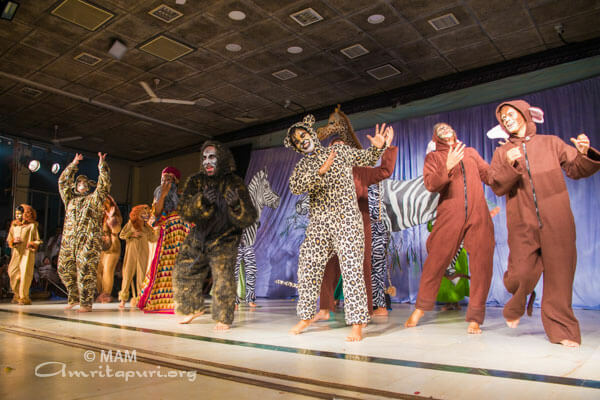 Suresh owns 2 companies in the Gulf and now has recruited a few Paripally alumni, giving them jobs in his companies. 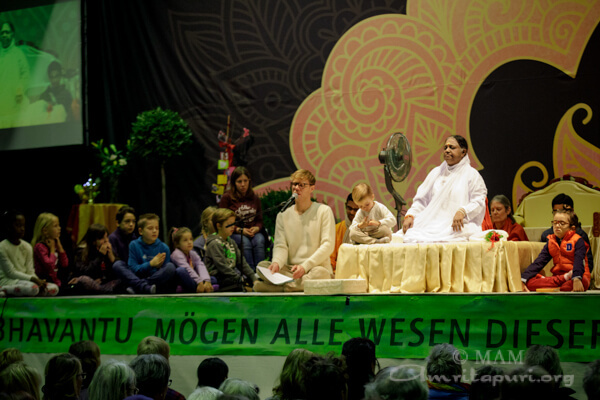 Sunimol: “I grew up as an only child in my house. 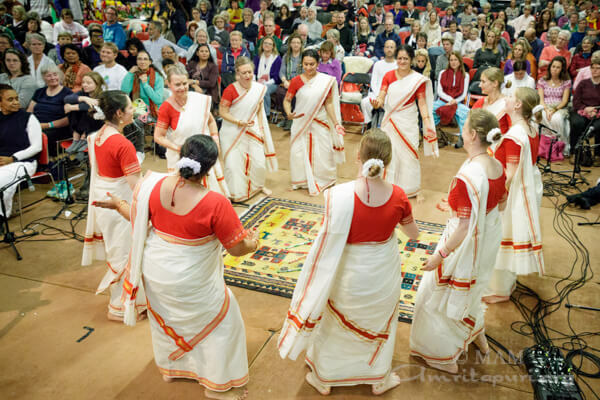 There was a lot of social pressure in the neighbourhood when they learnt that I was going to go to Paripally to study. 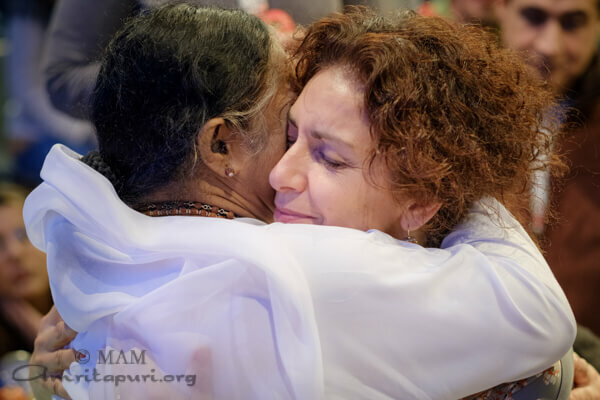 But because I studied in Paripally, I came to know what it felt to have a brother, what it was to have a sister. 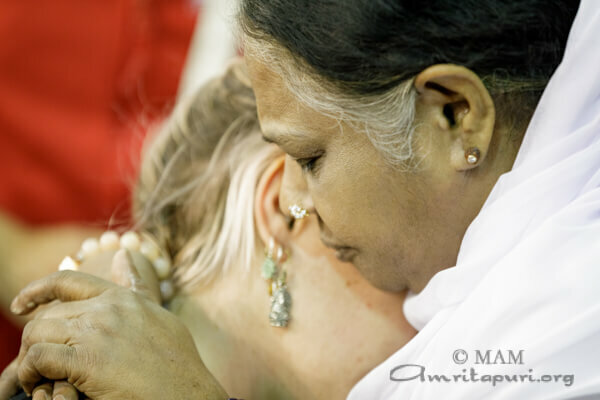 At Paripally, I learned what love was. 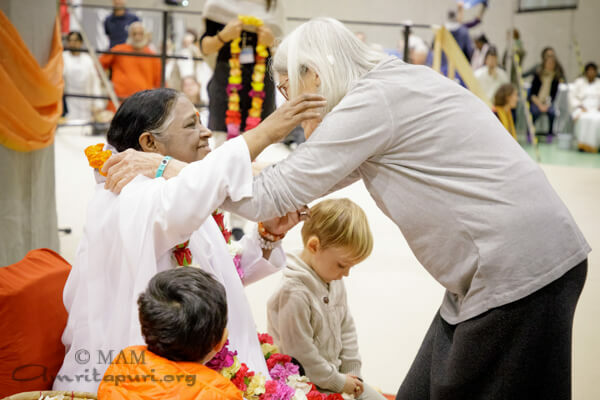 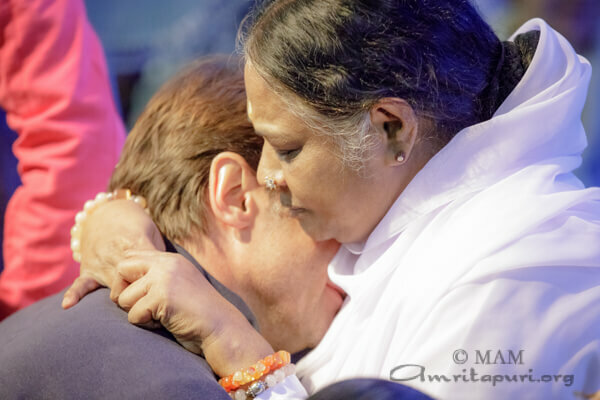 Many of the Paripally alumni were in tears as they expressed their gratitude to Amma and the ashram residents who had cared for them with so much love. 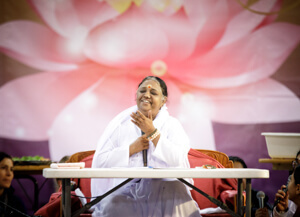 In turn, many of the ashram residents who had volunteered at Paripally over the years were moved to tears as well, recognizing in these healthy, happy, successful, values-oriented adults the eyes of the needy forlorn children who had arrived at the gates of the Amrita Niketan orphanage so many years – in some cases decades – ago. 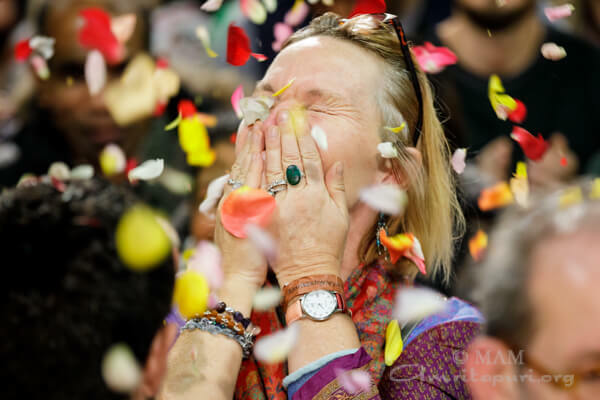 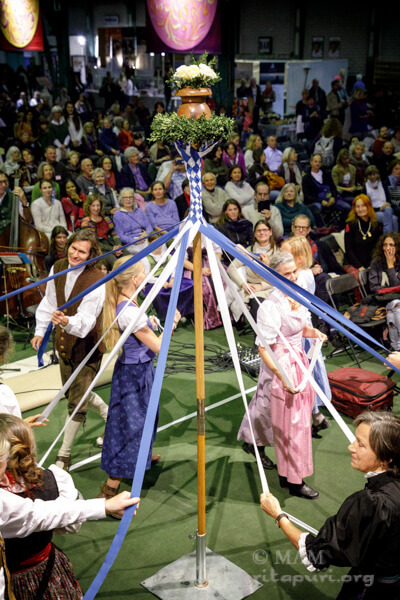 By the time the alumni were done sharing their experiences, there was nary a dry eye in the hall. 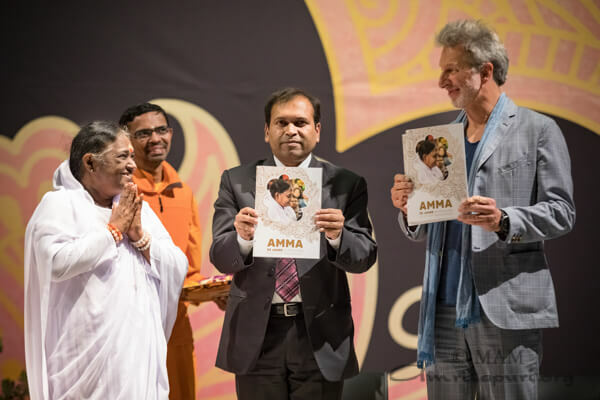 Amma’s own expression perhaps best expressed the feelings of all – eyes moist with tears, and yet beaming with joy and pride in the achievements of these young adults who had faced so much trauma, and come from such difficult beginnings to craft joy-filled, service-oriented lives for themselves and their families. 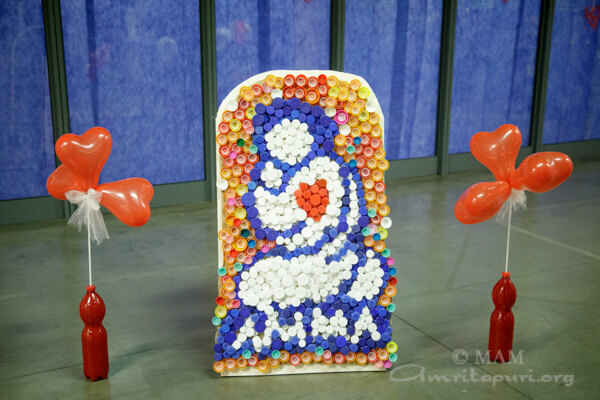 These young people had taken the pain and trauma of their early lives, added the fertilizer of Amma’s compassion, and built lives infused with love, and guided by the values they received at Amma’s school. 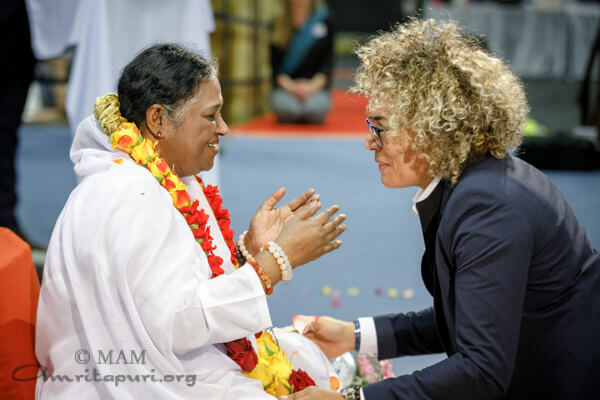 As Amma says, “Even a lotus flower blooms in the mud.” These young adults are living proof that no one is beyond help, and no one is worth giving up on. 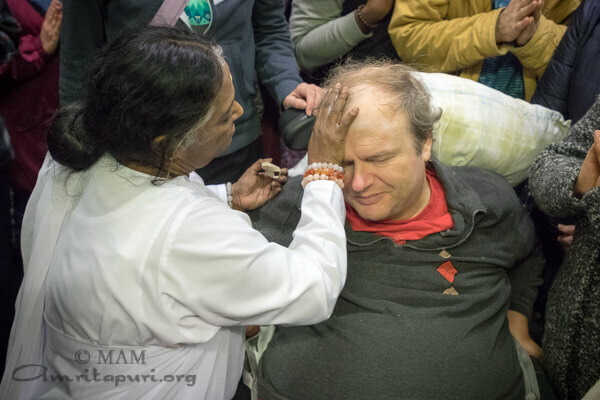 Rather, loving attention, compassionate care, and service can turn any life around. 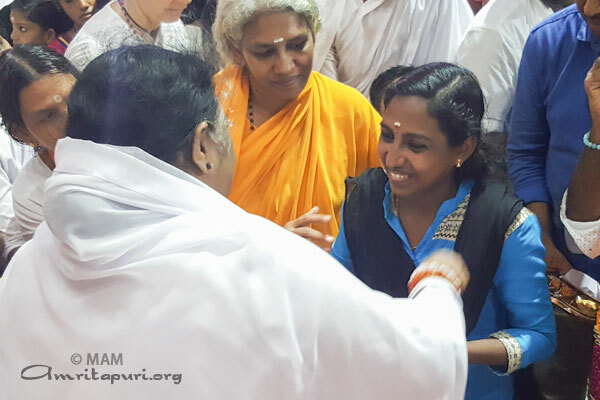 At the end of Darshan, all of the Parippally children took a group picture with Amma to relive the joyous moment.